1. 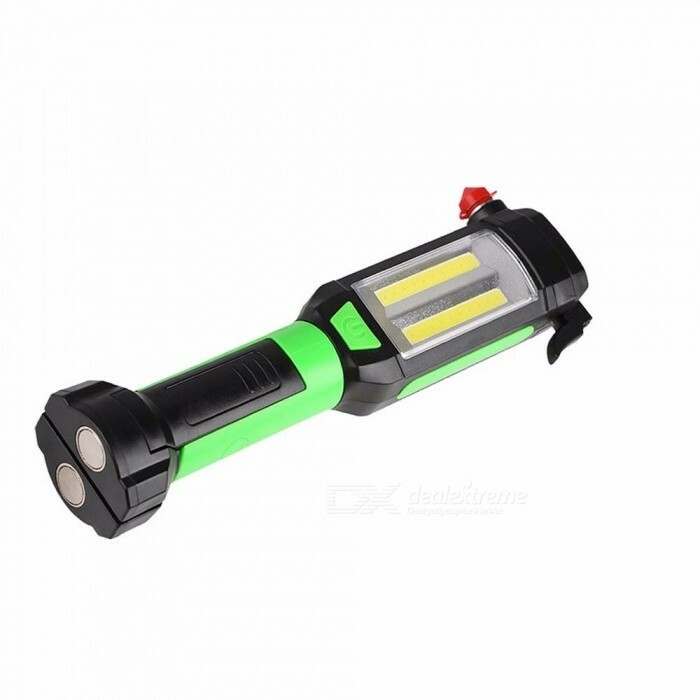 Flashlight and car emergency escape tool hammer to save your money. 2. Working mode flashlight: highlighted, low light. 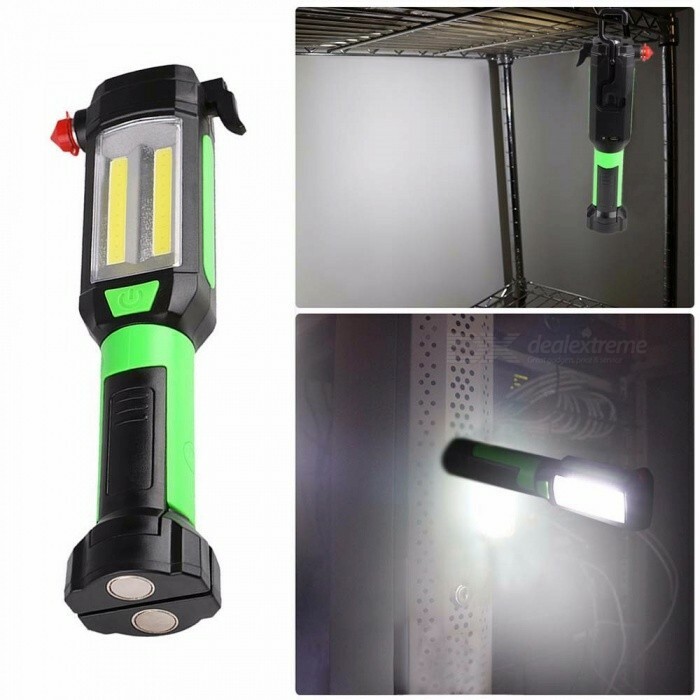 3.2 COB+1 LEDs provide intense illumination. 4. 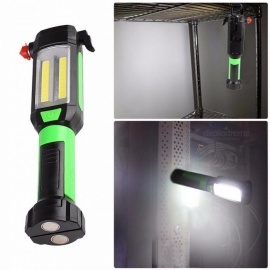 Built-in rechargeable battery, USB charging interface, easy to use. 5. With a circuit breaker with a knife and a glass window, it can reduce the blocked seat belt, break the jam, and escape safely in an emergency. 6. 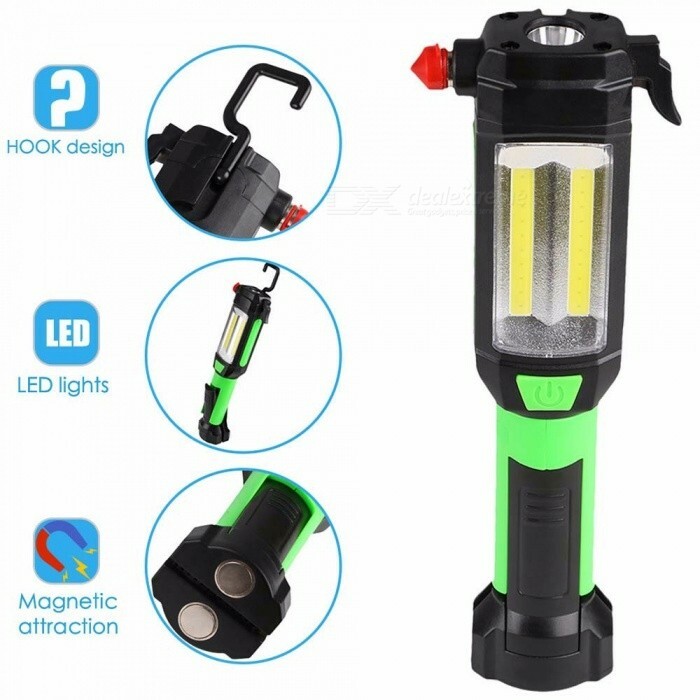 There is a powerful magnet at the bottom of the flashlight that you can attach to a car or other metal surface as a work light or camping light. 7. With a hook, the bottom can be used as a clip, which is easy to use where the magnet cannot be absorbed. 2-model light: highlighted, low light.